Meanwhile, more power and communications outages hit Venezuela, intensifying the hardship of a country paralyzed by economic and political crisis. The blackout heightened tension between the bitterly divided factions, which accused each other of being responsible for the collapse of the power grid. 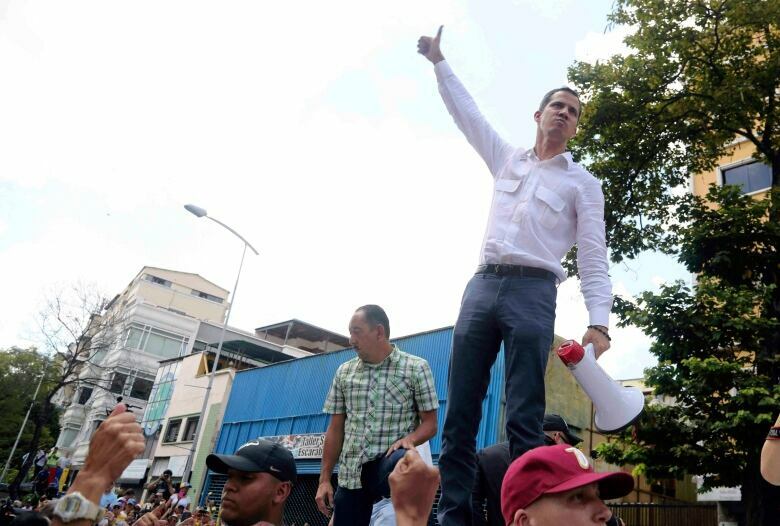 “Hard times are ahead,” said opposition leader Juan Guaido, who addressed crowds with a loudspeaker after security forces earlier dismantled a speakers’ stage that the opposition had erected. The 35-year-old leader of the National Assembly said he anticipated more government efforts to sideline and intimidate the opposition. However, President Nicolas Maduro’s government has not moved directly against Guaido since he returned to Venezuela from a Latin American tour on Monday. 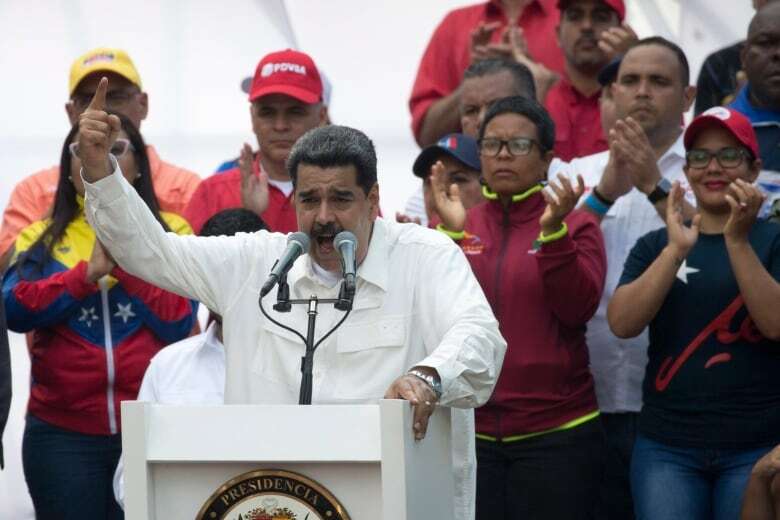 But on Saturday, Maduro stepped up verbal attacks on Guaido, calling him “a clown and puppet” in a speech to supporters outside Miraflores, the presidential palace. He scoffed at Guaido’s claim in late January to be interim president of Venezuela, a declaration supported by Canada and about 50 other countries. “Not a president, not anything,” said Maduro, who accused Guaido and his U.S. allies of sabotaging Venezuela’s Guri Dam, one of the world’s largest hydroelectric stations and the cornerstone of Venezuela’s electrical grid. He said authorities had restored 70 per cent of power in Venezuela since a nationwide outage hit late Thursday, but progress was lost on Saturday when “infiltrators” allegedly struck again. The Venezuelan opposition and U.S. officials say Maduro’s attempts to pin blame on his political adversaries is absurd, and that government corruption and mismanagement over many years caused the blackout and wider deterioration of the economy. In another blow to Venezuela’s infrastructure, an explosion occurred at a power station in the country’s Bolivar state on Saturday, according to local media. Video posted on social media showed fire and smoke billowing from the site. Venezuelan authorities have not commented. Netblocks, a non-government group based in Europe that monitors internet censorship, said Saturday that the second outage had knocked out almost all of Venezuela’s telecommunications infrastructure. Opposition protesters who converged on Avenida Victoria in Caracas vented anger over the country’s problems, including hyperinflation and shortages of basic necessities. They pushed against the shields of riot police who avoided a clash by withdrawing from the area. “This is chaos,” said Jorge Jaimes, a physician frustrated with the decline of a country that was once the wealthiest in Latin America. At the pro-government rally, people danced and waved flags on what organizers labeled a “day of anti-imperialism” in a show of defiance toward the United States, which has imposed oil sanctions on Venezuela in an attempt to oust Maduro. Many showed up wearing red caps and shirts in support of the self-proclaimed “socialist revolution” of leader Hugo Chavez, who died six years ago and was succeeded by his protegé, Maduro.